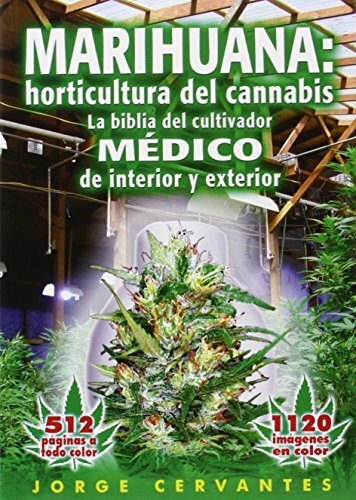 - Dimensiones: 23.50cm. x 15.54cm. x 2.29cm. Judy Carter, guru to aspiring comedy writers and stand-up comics, tells all about the biz of being funny and writing funny in this bright, entertaining, and totally practical guide on how to draw humor from your life and turn it into a career.Do you think youre funny? Do you want to turn your sense of humor into a career? If the answer is yes, then Judy Carters The Comedy Bible is for you. The guru to aspiring stand-up comics provides the complete scoop on beingaand writingafunny for money. If youve got a sense of humor, you can learn to make a career out of comedy, says Judy Carter. 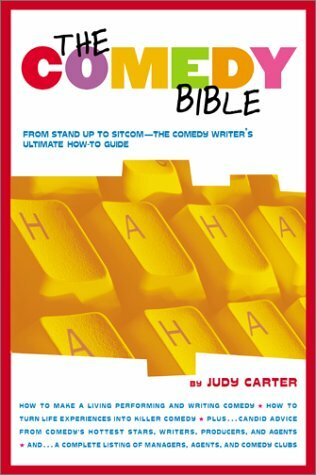 Whether its creating a killer stand-up act, writing a spec sitcom, or providing jokes for radio or one-liners for greeting cards, Carter provides step-by-step instructions in The Comedy Bible. She helps readers first determine which genre of comedy writing or performing suits them best and then directs them in developing, refining, and selling their work. Using the hands-on workbook format that was so effective in her bestselling first book, Stand-Up Comedy: The Book, Carter offers a series of day-by-day exercises that draw on her many years as a successful stand-up comic and the head of a nationally known comedy school. Also included are practical tips and advice from todays top comedy professionalsafrom Bernie Brillstein to Christopher Titus to Richard Lewis. She presents the pros and cons of the various comedy fieldsastand-up, script, speech and joke writing, one-person shows, humor essaysaand shows how to tailor your material for each. She teaches how to find your aauthentica voiceathe true source of comedy. And, perhaps most important, Carter explains how to take a finished product to the next levelamaking moneyaby pitching it to a buyer and negotiating a contract. 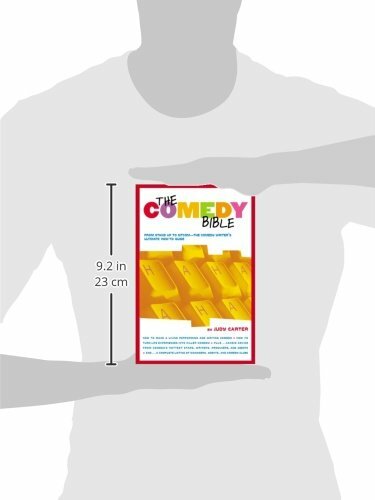 Written in Carters unique, take-no-prisoners voice, The Comedy Bible is practical, inspirational, and funny.